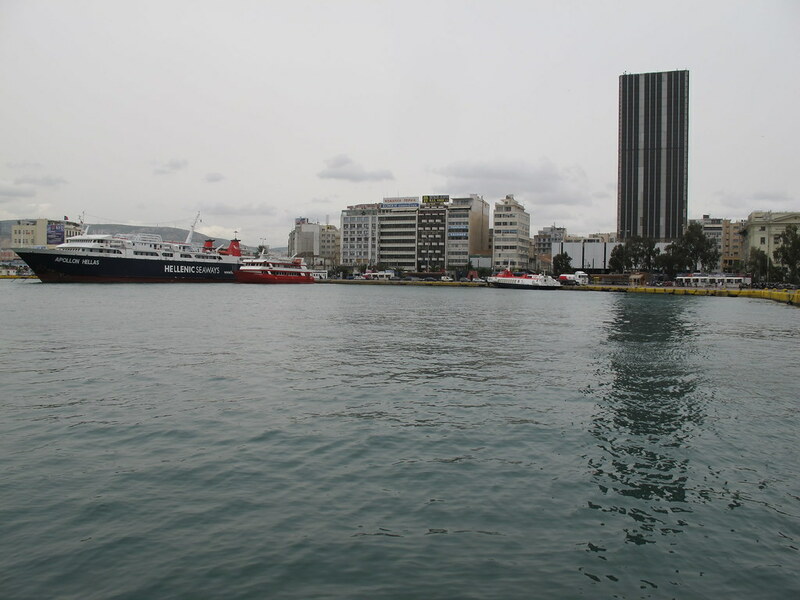 The Piraeus tower, also called the “sleeping giant” is a special building for many reasons. The regulation of Athens doesn’t allow to build higher than 10 floors for a simple reason: higher building would obstruct the view to the Acropolis. At the time the tower was built, some construction permits were issued for buildings that don’t respect those rules. These exceptions clearly appear as non-belonging to the city. The size, the facade and the shape of the Piraeus Tower is quite unique. As a first analysis, we can say that the Piraeus tower is divided in three parts. the first 10 floors correspond to the major hight of the surrounding buildings. the last 10 floors are visible from far away, it can have a strong iconic importance for the tower. Following this statement, the main idea is to create a facade that allows to bring those three part in one: base+place into the city+icon. In the small esquisses on the right part we can see that there is many ways to do so, but it seems that the analysis of the Trutec building could be a good starting point for the design of this new facade. The first 1 to 9 floors would have a dialogue with the surrounding buildings: small windows and expression of the horizontality of the slabs. Then, from 5 to 15, the intermediate slabs would generate the connection between the base and the icon. A smooth transition would probably be interresting. From the original planar windows to the more fragmented one. The top of the Piraeus tower would then be the icon part. The windows frame would be bigger and the fragmentation of the glass higher.